Today aditus foundation and the European Network on Statelessness are launching an updated and expanded country profile on Malta as part of the Statelessness Index. 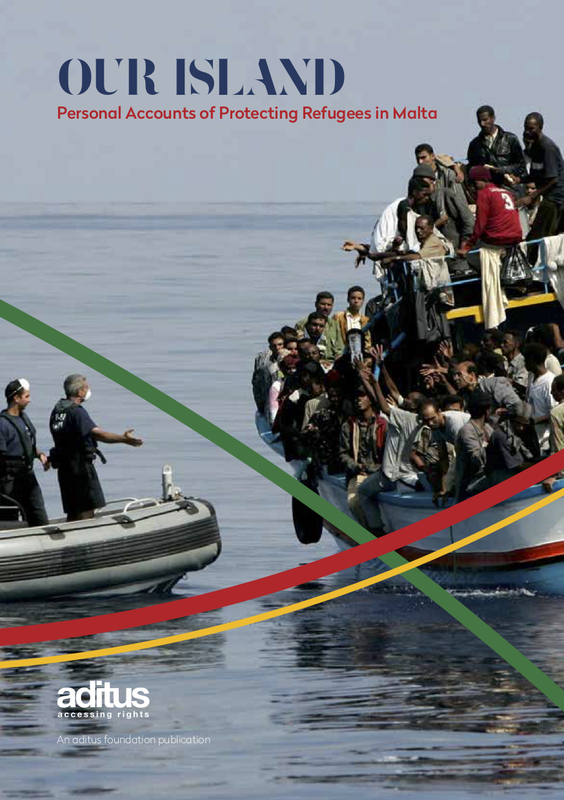 The Malta page now includes up-to-date data on new categories like withdrawal of nationality, reduction of statelessness, and bilateral return and readmission agreements, as well as a shorter country briefing, which outline recommendations for the Government on how to improve the treatment of stateless people and to prevent and reduce statelessness. The Index country profile on Malta provides analysis for over 25 different categories. Law, policy and practice under each of these categories are assessed against international norms and good practice and marked with a clear and easy to understand assessment key. 2018 saw some improvement in Malta, but significant concerns about law, policy and practice on the protection of stateless people and prevention of statelessness remain. At the end of 2018, a new regularisation route was introduced for people refused asylum who are unable to leave the country – some of whom may be stateless – provided they have lived in the country for five years and can meet other conditions. The new ‘SRA’ status gives individuals and their family members access to a two-year residence permit and a range of socio-economic rights. However, this positive change does little to address one of the root causes of people ending up in irregularity: the lack of a procedure to identify and determine statelessness and grant stateless people the rights due to them under the 1954 Convention. Malta remains one of only four EU member states yet to accede to the Convention. Further steps are also needed to protect stateless people from arbitrary detention, and to prevent and reduce statelessness in Malta. The safeguard granting stateless children born in Malta a conditional right to acquire nationality does not prevent statelessness in all cases and has still not been implemented in practice; and provisions relating to conferral of nationality by descent that were ruled discriminatory by the European Court of Human Rights in 2011 remain in place. In the past year aditus foundation has been very busy putting the issue of statelessness on Malta’s national agenda. We flagged our human rights concerns to the Universal Periodic Review and, thanks to our submission and interventions, several States urged Malta to ratify the 1954 Statelessness Convention. Malta did not agree to accept these recommendations, yet we’re extremely glad that statelessness is now a UPR issue for Malta! We also written formally to the Minister for Home Affairs and National Security, reminding him of commitments publicly made by Malta that it would be exploring the possibility of ratifying the 1954 Convention. In this regard, we have always urged the Ministry to designate the Office of the Refugee Commissioner as the administrative entity to process statelessness applications, given its expertise in searching and applying Country of Origin Information. The Statelessness Index is an online tool that assesses how countries in Europe protect stateless people and what they are doing to prevent and reduce statelessness. It is the first to provide comprehensive and accessible comparative analysis for 18 countries in Europe, including Malta. It allows users to quickly understand which areas of law, policy and practice can be improved by states. The Index was developed by the European Network on Statelessness (ENS), in partnership with aditus. It is an invaluable tool for sharing good practice and raising awareness of issues that affect stateless people. We look forward to working with key stakeholders to facilitate the change needed to improve the lives of stateless men, women and children living in Malta. If you have any questions regarding the Index, please do not hesitate to contact us.